Well, when you take your car for a service, for the great majority of cars, the mechanic will use a diagnostic tool to see if there are any recorded problems. He does this using diagnostic software which accesses the car’s reporting and computer system where any problems are monitored and faults are logged. Performing a car diagnostic test can reveal a range of problems associated with the car’s transmission, oil tank, petrol tank, exhaust system and various other components of the car. Many modern cars now come with computer processors, microchips and sensors which can be linked to a car diagnostic computer scanner at a dealership or at the garage of a certified mechanic. 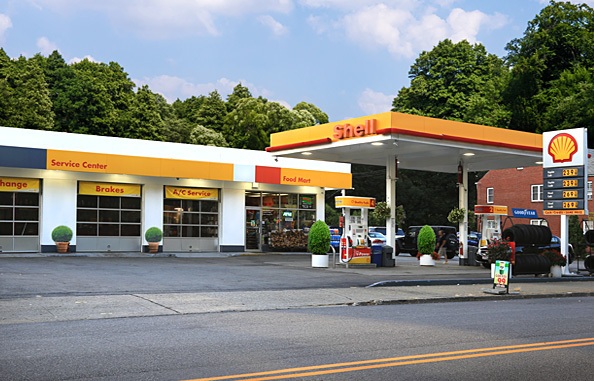 At Peekskill Shell Auto Repair and Tires we can carry out vehicle diagnostics for all car makes and models. As Motor vehicle specialists specialists we make use of VIDA tools (Vehicle Information and Diagnostics for After Sales) as well as Delphi and Omitec diagnostics equipment. The car diagnostics software we use at Peekskill auto repair and tire can typically tell you about the following areas for most vehicles – ignition timing problems, issues with the vehicle engine, the performance of the fuel injector, firing of the ignition coils, engine rpm levels, air and coolant temperature, crankshaft and camshaft position and throttle opening. This means that any car auto repair items can then be identified and rectified if necessary. Why use the VIDA car diagnostics tool? As we, at Peekskill auto repair and tire, specialise in the care and maintenance of Motor vehicles then VIDA (Vehicle Information & Diagnostics for Aftersales) is an invaluable tool as it is the only comprehensive source of service information and specifications available particularly for all vehicles. VIDA is needed if you want to fully diagnose and properly carry out a car auto repair and service for 1999 and later Volvo models. Using VIDA we can download software updates, reprogramme keys and locks as well as running a car diagnostic test on all systems of your car. We can also use VIDA to keep up to date with manufacturer recalls, to browse technical service bulletins and get other information important to you and your Volvo vehicle. At Peekskill auto repair and tire we usually advise you to have a car diagnostics check-up if you are worried or concerned about something so that we can sort it out quickly and carry out a car auto repair if necessary in order to get you back on the road as soon as possible. However, for most cars we would recommend a vehicle diagnostic check at least once a year.